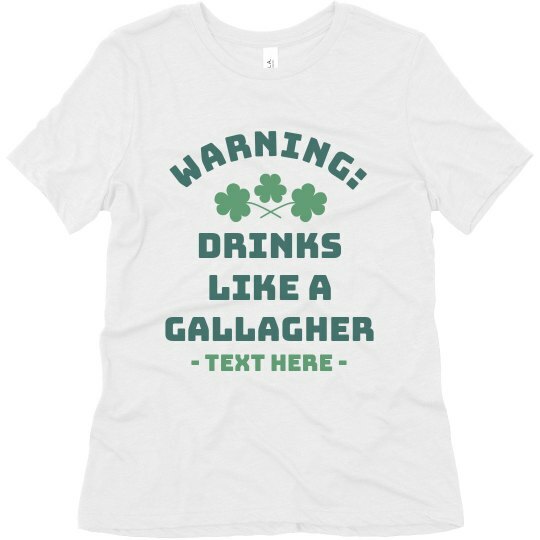 Are you a whisky lass or lad through and through just like Mr. Gallagher? Then let this funny custom shirt be a warning sign during St. Patrick's day. You're here to get crazy! Add your own custom text to this trendy tee and show 'em how it's done.